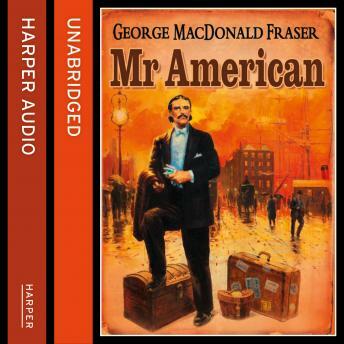 Repackaged to tie-in with hardback publication of 'The Reavers' and to appeal to a new generation of George MacDonald Fraser fans, 'Mr American' is a swashbuckling romp of a novel. Mark Franklin came from the American West to Edwardian England with two long-barrelled .44s in his baggage and a fortune in silver in the bank. Where he had got it and what he was looking for no one could guess, although they wondered - at Scotland Yard, in City offices, in the glittering theatreland of the West End, in the highest circles of Society (even King Edward was puzzled) and in the humble pub at Castle Lancing. Tall dark and dangerous, soft spoken and alone, with London at his feet and a dark shadow in his past, he was a mystery to all of them, rustics and royalty, squires and suffragettes, the women who loved him and the men who feared and hated him. He came from a far frontier in another world, yet he was by no means a stranger... even old General Flashman, who knew men and mischief better than most, never guessed the whole truth about "Mr American".